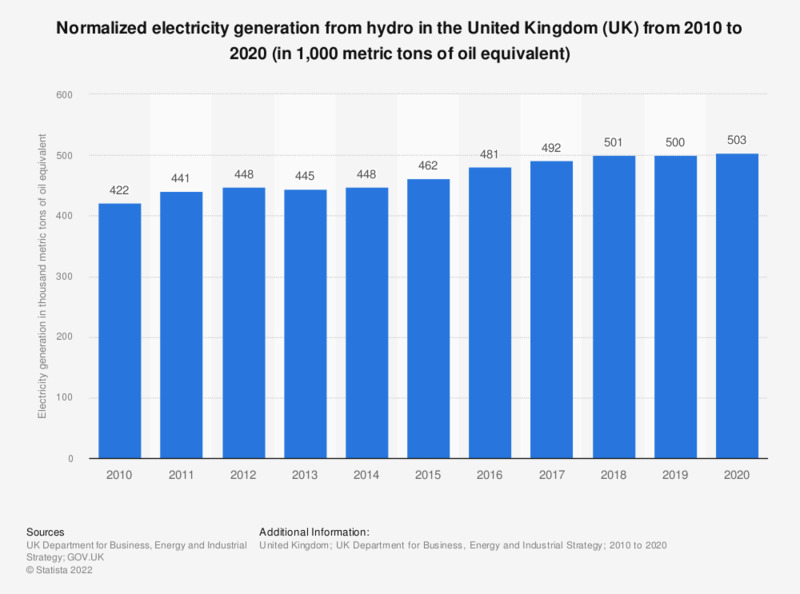 This statistic displays the normalized electricity generation from hydro the United Kingdom (UK) from 2010 to 2017, in thousand metric tons of oil equivalent. It shows that the electricity generation increased over this period, from 421,000 metric tons of oil equivalent in 2010 to 470,000 metric tons of oil equivalent in 2017. These figures form part of the renewable sources data used by the United Kingdom to indicate progress under the 2009 EU Renewable Energy Directive. The source notes that these figures are based on a 15 year average hydro load factor. Generation from pumped storage is excluded.